As you might have noticed, lately I've been trying to figure out how to live more sustainably. However, while I'm getting better at it at home, my travels could do with a sustainability upgrade as well. Therefore, I've been gathering some tricks I use at home, that could also be used for travelling. This is definitely one of my favorite lifestyle changes and it could easily be used for travelling as well. I have been using disposable razors for so long, and never really thought about how damaging they are for the environment due to packaging and all the plastic used for the razors themselves (I'm not even talking about production emissions etc). Recently I saw a post somewhere about a safety razor, which made me wonder whether this would be a good alternative. It turns out, many people before me have asked the same question and hundreds of blogs are written about it. Great! So after reading some experiences of other bloggers, I decided to buy one. 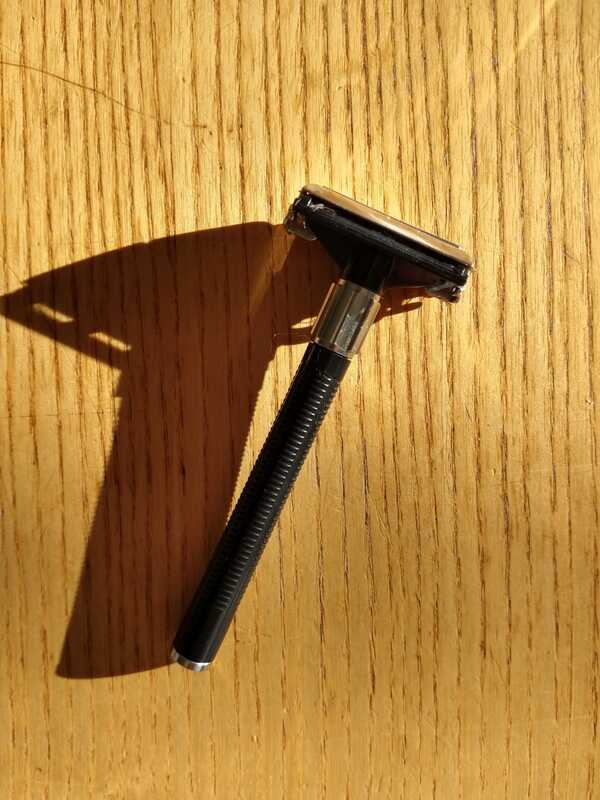 Without putting too much effort into it, I choose the "Feather safety razor populair" at https://www.thealphamen.nl/feather-safety-razor-populair-2-mesjes.html which costs 20 euros and comes with 2 blades. I didn't want to spend too much money on one in case I didn't like it, but in hindsight, it would have been better if I bought a safety razor that was 100% metal and maybe a little bit more expensive. I'm very happy with my safety razor (maybe I'll write a whole blog about it sometime as well..). I was a bit scared when I used it for the first time, because it's such a sharp razor and a new experience, but this turned out to be totally unnecessary. It's super easy and it's so much better than disposable razors with 2,3,4,5 blades. You can use the razor everywhere (just be a bit more careful in sensitive areas), and you really get a clean and good shave which lasts much longer. For a sustainable shaving cream, especially when travelling, it's easiest to have a soap bar with you, or some coconut or olive oil. This works really well and is super easy. You can just bring a bit of oil with you on your travels and only use a little bit every time you shave. By the way, the disposable razor blades last about 1-2 months depending on how often you use it, and are recyclable. One of the things I really dislike when I'm travelling, is when my hair gets dry. Certain climates can be really tough on your hair and damage it, and usually spending much time on revitalising your hair is not a priority when travelling. So recently, I found out about an easy trick to give your hair a little boost, and it can be done almost everywhere! What you do is you boil rice with 1.5 or 2 times the amount of water you would have actually needed for cooking the rice. When it's finished you drain the excess water and keep it separate. Let it cool down until it's colder, cover your hair and scalp in it (for example by putting the water in a bowl and dipping your hair and head in) and let it sit for about 15-20 minutes. Then rinse it out and your hair will be super soft again! If you use conditioner as well, do this after conditioning - You can also mix the rice water with green tea to make your hair more shiny - if you have too much rice water, store it in the fridge so you can use more later - you have to figure out yourself how much to use it, I think most people say once a week/two weeks/month. Or you can just use it whenever your hair feels like it needs a boost. Just like at home, you can bring your own water bottle or coffee cup when you go somewhere. This can safe millions of plastic or paper alternatives. Always ask people to use your cup for a drink your ordering, and fill your own bottle with water. A Stojo cup (https://stojo.co/) is a very good option for travellers since it is foldable and therefore takes up less space in your bag. Okay, maybe this one doesn't count for all your travels, but mainly relates to travelling in south-east Asia, but it really helps save on wooden products. I have experience travelling in Japan and everywhere you buy some food, you get disposable wooden chopsticks in plastic packaging. Imagine saying no to all of these and just using your own chopsticks? It's so easy! I think on the worst days I could have saved over 8 pairs of chopsticks if I did this, and that would be only in one day. So from now on, I'm gonna bring my own and say no to the disposable ones :). These are just some simple tricks and tips for more sustainable travels. There are lots more to be found on the internet and more blog posts by me will follow in the future as well. But for now, you can read my blogpost about reducing your carbon footprint while travelling here, about sustainable and ethical travelling here and flight compensation here. Here I'm gathering all kinds of useful blogs, recipes, tips etc. that have to do with travelling eco-friendly, sustainably and ethically! If you have any additions, let me know and I can add them :). Read more about Sustainable Socks! Today I want to talk about travelling sustainably and ethically, since I think these are two of the most important things if you want to keep travelling and enjoying cultures/natures.